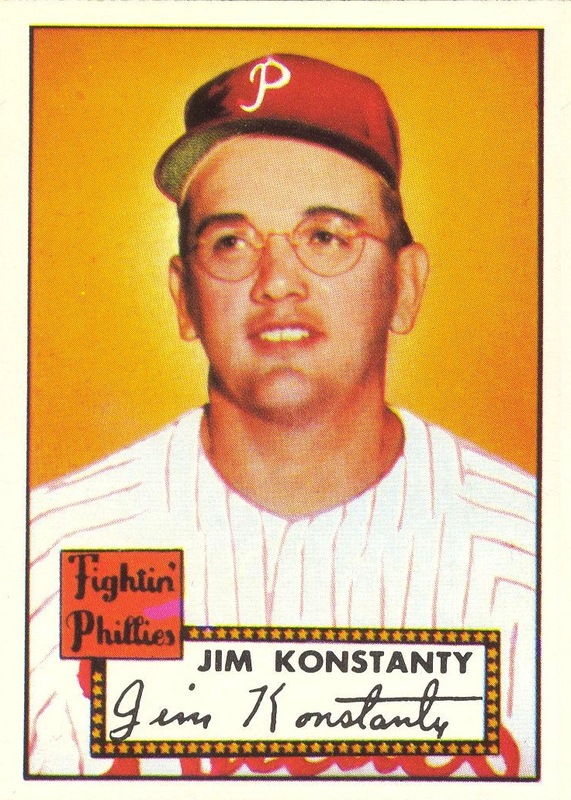 A while back, I mentioned that as part of my scanning project I put together a PDF of virtual pages of various Phillies team sets. The idea is that there are times when I want to look for certain cards, and given the size of my collection, launching a PDF is much easier than pulling out the correct binder or going through the correct 3200-count box that houses the card(s) I wish to look at. (The virtual pages are also my son’s preferred method for looking at the collection, but this is not the reason I create them.) Creating these PDFs allow me to do something else though: creating displays of the cards in a manner that differs from the way I choose to store them. Thus, I can create virtual pages based upon card design — something especially helpful given the way Topps (and to a lesser extent, Upper Deck and Fleer) recycled so many designs. I’ve only completed a couple of these thus far — just ones for the 1992 Bowman design and the 1993 Finest design. However, there a couple I’m really looking forward to completing. 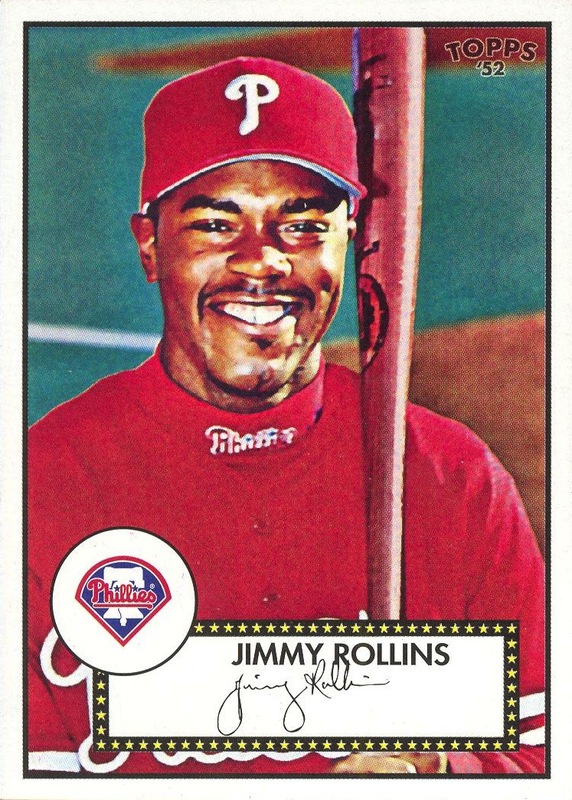 For the sheer size of it, the 1989-1994 Phillies Team Issue pages should be a blast, but the one I’m itching to complete — to the point that I’m actually now making this my primary focus of my scanning for the next few days (possibly even couple weeks, depending upon the time I allocate to this) is the 1952 set. In addition to the 1952 set (in my case, I will be using the 1983 Topps Reprint Series), there is the 2001 Topps Heritage set, the 2006 & 2007 1952 Rookie sets, a few random Topps inserts (some autographed) and this year’s Black Diamond redemption cards. Creating these pages is the primary benefit scanning my collection. When you have only one of each card (realistically, you can only afford one of each), the only way to create new displays is by constant handling of the cards, and no matter how careful you are, the inevitable accident will happen, thus damaging a card. True, that is a risk when scanning each card. However, once the scan is complete, you can create duplicates, move the images around at will and save the final product. Unfortunately, scanning thousands of baseball cards is a time consuming process, and many of the more recent issues don’t scan well. Nonetheless, it’s nice to have the ability to do this. 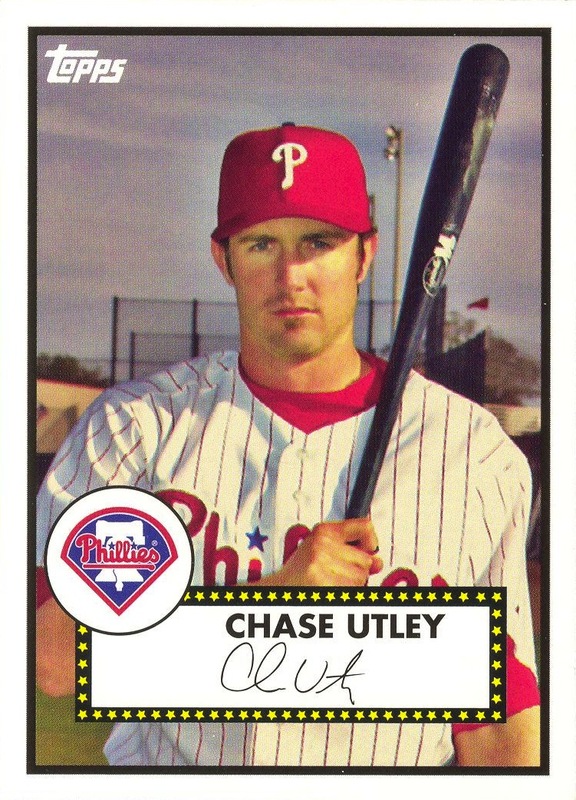 This entry was posted in Chase Utley, Jim Konstanty, Jimmy Rollins. Bookmark the permalink.